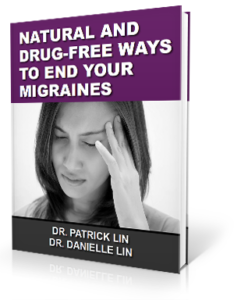 Migraines can be incapacitating to those who suffer from them. They can disrupt one’s life and interfere with normal daily activities. This is true whether they occur occasionally or on a more regular basis. The majority of people are aware of certain food triggers. What some do not realize is that poor sleep habits can also contribute to the onset of a migraine, and this is a far more common trigger than any food or drink. Developing good, consistent sleep patterns can help one experience fewer, less intense migraines. Why Does Sleep Matter for Migraines? If one is not sleeping well, neurotransmitters – serotonin and dopamine to be precise – are not in proper balance, leading to migraine headaches. Drifting into REM sleep (the deepest stage of sleep) is when serotonin and dopamine are created. Therefore, studies reveal that improper amounts of sleep hinder the production of these neurotransmitters creating the right environment for more frequent and severe migraines to occur. It is the endocrine system that is responsible for producing dopamine and serotonin. The nervous system controls the endocrine system and, in turn, coordinates the proper function of all systems within the body. If a misalignment has occurred in one of the top bones of the neck, undue pressure is placed on the brainstem, creating improper signals being sent to and from the brain affecting the nervous system. At Symmetry Health Chiropractic Center, we use a specialized technique to examine the top two bones of the upper neck closely. If a misalignment – also called a subluxation – is present here, it can be the underlying cause of migraine headaches. We then employ a gentle, precise method that encourages the bones to move back into place without the force of popping or twisting the spine. This allows the body to take over and repair any damage done to muscles or tissue. Migraines have been seen to lessen in intensity after just a couple of adjustments. Some see them go away completely once the spine is in proper alignment.